“The IBM Beacon Awards recognise Business Partners who continually deliver transformative solutions that help clients prepare for the cloud and cognitive era." New Zealand IT company IntegrationWorks has taken out the 2016 IBM Beacon Award for Outstanding Middleware Solutions, in recognition of integration projects delivered to the New Zealand Racing Board. Awarded to a select number of IBM Business Partners on a global scale, the 2016 awards recognise achievements across a wide-range of solution areas, including IBM Watson, cloud and analytics. 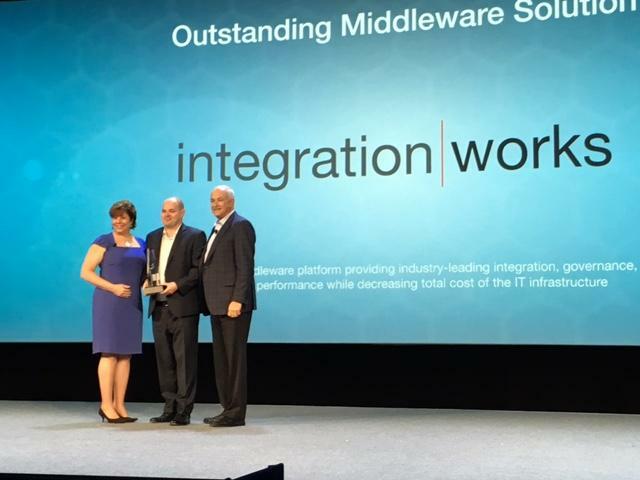 With the awards ceremony held at the IBM PartnerWorld Leadership Conference in Orlando, the win for IntegrationWorks represents the first time a company from New Zealand or Australia has won a Beacon award within the category of Outstanding Middleware Solution. “The IBM Beacon Awards recognise Business Partners who continually deliver transformative solutions that help clients prepare for the cloud and cognitive era,” says Marc Dupaquier, General Manager, IBM Global Business Partners. Chosen from entrants around the world, the winning award was centralised on the middleware and integration layer the team at IntegrationWorks strategised, designed and developed over a period of 12 months. While working closely with New Zealand Racing Boards’ CIO and executive IT team, IntegrationWorks were able to develop an integration solution designed to open up digital channels and expand the company’s online gaming and wagering businesses. During the digital overhaul, IntegrationWorks worked closely with the NZRB to translate business requirements into a set of goals and outcomes for integration. Once the strategy had been mapped and customer interaction patterns analysed, IntegrationWorks selected IBM as a technological partner to deliver consumer driven outcomes. “We knew that it was a highly complex historical environment and it was critical to bring the legacy systems through the digital transformation phase,” adds Grant McKeen, Managing Director, IntegrationWorks. “All of our architecture and development teams were informed and engaged from the start. During the process, services used by IntegrationWorks included SOA Service Design and Implementation, API Design and Implementation and Data Structure Design and Development. In addition, technologies used included IBM DataPower, IBM Integration Bus, IBM ExtremeScale and IBM MQ. “Since going live in early 2015 we have seen volumes through the platform rapidly rise, building up to November’s Melbourne cup where we saw record numbers reached for the platform,” adds Colin Philp, CIO, New Zealand Racing Board. “In twelve months we have built a new integration layer that supports our entire IT re-architecture strategy. “Like any major IT greenfields development we’ve had challenges, but a good vendor demonstrates their value on how they work on those challenges like IntegrationWorks has. “We’ve had IntegrationWorks’ resources working on-site with us for months and they have been a really solid and reliable business partner. Future plans for IntegrationWorks include growing the New Zealand-based ArchiDev and DevOps teams, and capitalising on projects for the newly established Australian office for various customers in the finance and insurance verticals. Offices in the United Kingdom and United States are in the early stages, with opportunities across telecommunications, banking and construction enterprise integration projects on the horizon.